Welcome to the East Cleveland Image Archive – the Archive is dedicated to the preservation of images of the life, times and social traditions of the East Cleveland area; hopefully in time we would wish to be able to present images complete with a commentary that identifies: who, what, where and when. We display images as they become available to the site. We display all possible relevant information for any image displayed. If we ask for assistance with detailed information, this is possible via our ‘Leave a comment’ facility – this allows an opportunity to comment on any of the posts. Relevant comments assist in identification of situations, persons or activities within that image posting – we then assess comments for their relevance and assistance. All useful comments and details are then posted. The present team of John Hannah, Joan Jemson and Eric Johnson, continue to develope the Archive. The Archive welcomes any opportunity via talks, displays, etc., to promote the Archives wide range of subjects; to schools, local history groups or any community organisation. We will request a fee which assists in the financial support of the Archive; as we are a not-for-profit resource. Contact us via email or the telephone number below. As a not- for-profit group we are actively undertaking a fundraising program to ensure the continuity of the site. If you wish to donate monies or support in any way please get in contact via any of the opportunities listed below. The Archive has received support from Loftus Town Council and hopefully BBC ‘Countryfile’ for use of images used in support of programmes; enabling our continuing presentations to all interested groups, etc. We have also recently received funding from Redcar & Cleveland Council (EMWA); to enable improving the images as we present them for viewing and this improvement has now been implemented and will be ‘refreshing’ previous images on a rolling programme of improvement. This refreshment will enable when viewing to see the image in full size, rather than having to use a right click to expand the view. This will be of benefit to all our viewers. We now have offices in Loftus Youth & Community Centre, whilst still have strong connections with our former homes (Loftus Library & The Old Co-op Building); we continue to work with new images; although categories may be adjusted to better effect to present any new materials. We welcome any images offered, but reserve the right to amend the commentaries to any images as necessary. 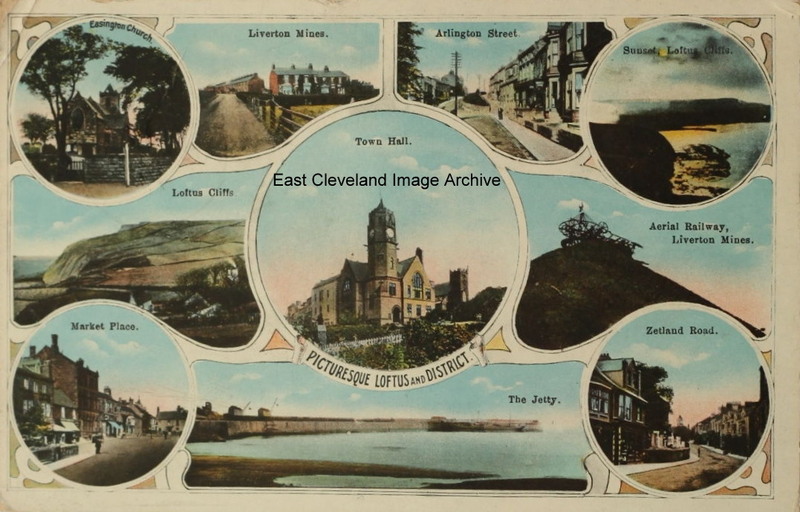 If you have any old photographs of East Cleveland (UK), as well as additional information about images on site, please contact Lead Editor: tel. 07811801627, email: eastcleveland_imagearchive@yahoo.co.uk or via the “add a comment” section of any post on site. Alternatively you can leave items at the reception desk in the Loftus Youth & Community Centre (in an envelope clearly marked FAO East Cleveland Image Archive – with your own contact details) and we’ll take it from there. Our postal address is: East Cleveland Image Archive, Loftus Youth & Community Centre, Duncan Place, Loftus, SALTBURN-BY-THE-SEA. TS13 4PR. We will ensure safe return of your photographs after scanning. Our policies remain unchanged; we acknowledge all sources of images and information. Our web address is: www.image-archive.org.uk and we continue to welcome comments and messages. John, Joan and Eric. *Note* When viewing multiple pages of images, advancing through lists is best achieved using the numbered boxes at the bottom of each page which indicate the number of pages containing the images viewed.